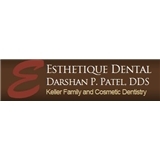 Esthetique Dental Family & Cosmetic Dentistry (Keller) - Book Appointment Online! So professional and kind. So glad I found him!